First of all, let’s assume transport is a key category for your company and consumes a major part of your total costs. For example companies who export their products internationally and have to move raw materials as well as finished products. Transport: you probably need a lot of it and how difficult can it be? It’s just another commodity. Move your product from A to B. It’s just like buying regular copy paper. You don’t want to know how it’s made, as long as it is available at a low price. Just compare suppliers and find the optimum order quantity. It’s that simple, right? No, this is where a lot of buyers make the mistake. They think it’s a commodity but it isn’t. This is exactly where wrong choices are made in a selection process. Buying transport can be complicated through the many variables and one should really know what the specifics of the business are. Of course, the basics is getting your stuff from A to B, against lowest costs, without damage and on time. But there’s more to it which makes the difference in your selection process. What about loading and unloading times, capacity and other local requirements. Think about equipment like dock shelters, pre-advice and forklift trucks. 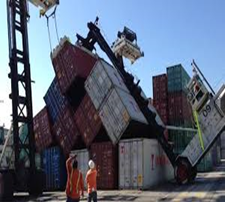 Can your customers unload containers? 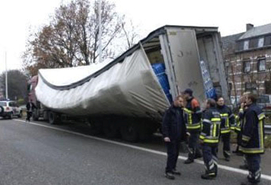 Or should you order curtain side trailers? It all makes a big difference who to select in your procurement process. Without these detailed specifications it is almost impossible to select the right carrier. You need to figure out what type of company fit’s to your business model. Do you wish to do business with a worldwide carrier with many layers between your load and your contact person? Track and trace through a global website or do you want to call someone to ask the whereabouts of your load? There are many different type of carriers, they all have their pros and cons. Do you want a carrier with own wheels? Or do you rely on a 3 PL organisation without own equipment? Do you want to do business with one global player covering all countries? Or would you prefer to split the total volume in smaller, country specific packages and look for a specialists? It really depends on your organisation and your business. But selecting country specific carriers can save sometimes up to 20% of your transport costs. Think about this as you move forward. I could go on for hours but you will quickly realise that transport can be divided in many different subcategories. Some carriers are specialized in just one or two categories like for instance heavy transport. It can hardly be mixed with regular pallet shipments. But sometimes it’s not that clear. Then to make a good judgement you need to know the business and the players extremely well. What if things go bad? Who’s going to pay for the damage? Your carrier is limited liable and in most cases non delivery will be on your budget. Big companies typically don’t see these costs as they are not specified internally. 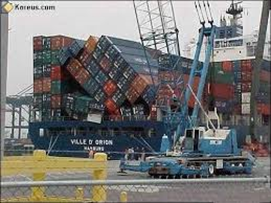 Once in a while things go really bad, like 48 hours downtime of a large paper mill I experienced a while ago due to a wrong product delivery. Then all the above choices are suddenly being reconsidered. Usually companies don’t change their policy unless they are pushed to.